The National Executive Committee (NEC) of the African National Congress (ANC) met at an ordinary, scheduled meeting on the 16th May 2015 at the St. George Hotel, Irene, Tshwane. Three reports were discussed; the Political Overview, the National Working Committee (NWC) Report and the Elections Workshop Report. The NEC was sitting a few days after the passing on of ANC stalwart and Isithwalandwe/Seaparonke Mama Ruth Segomotsi Mompati. The NEC observed a moment of silence in her honour. Mama Mompati was once again acknowledged by the ANC as an outstanding patriot and selfless servant of the people. She played a significant role in the 1956 Women’s March and was one of the very first combatants to be recruited and trained by Umkhonto weSizwe during its formative years. Comrade Ruth Mompati dedicated her life to the struggle and sacrificed her freedom for the freedom of others. As we bid farewell to this stalwart of our movement, we do so prepared to draw lessons from her exemplary life and commit to consistently revive within ourselves the timeless revolutionary traditions and values that defined her life. Both the Political Report and the NWC considered the State of the Organisation and made a call to strengthen ANC branches to be at the core of the work of all ANC structures. ANC branches must lead communities in their struggles through, amongst others, implementing our campaigns of Imvuselelo and Freedom Charter Forums. The unity of the ANC and the movement as a whole is paramount. The ANC cannot continue to tolerate ill discipline at any level and all our members must shun divisive practices. Disunity within the ranks of the ANC stalls and reverses progress that we must make to fulfill our programme of fundamental socio-economic transformation. The NEC noted the preparations underway for the Conferences of the ANC Women’s League, the ANC Youth League and the ANC Veterans League. The challenges facing the student movement were also discussed. The NEC was of the view that there is a need to support the Progressive Youth Alliance and reaffirm its hegemony at the country’s institutions of higher education. Doing this must necessarily involve acknowledging and confronting weakness within the organisations themselves as well as ensuring that progressive student leaders are rooted amongst their constituencies. The poor performance of SASCO in a number of campuses was discussed in detail. 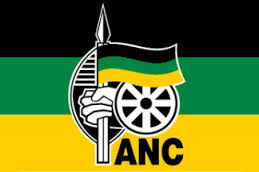 It was agreed that the ANC Youth League’s contestation for the leadership of SRCs should be strongly discouraged. Every member of the ANC Youth League must be a member of SASCO in every campus. This is one of the issues that must discussed in the coming National Congress of the ANC Youth League. SASCO must be assisted to know that student politics are about day to day issues and not the universal political concepts. Being rooted among students is critical for the strengthening of SASCO. There must be a programme that is ongoing and not only focussing on SRC elections. The assumption of autonomy by SASCO leaders once elected to the SRC and thus remove themselves from organisational discipline must receive urgent attention from SASCO structures. The involvement of students in the adjudication of tenders is having a corrupting effect on students. The task team leading the work of the ANCYL was directed to convene a meeting of the PYA urgently to discuss all these issues. The NEC reflected on the developments in COSATU and once again reaffirmed the view that a strong COSATU is in the interests of the ANC, the Alliance and the broader society. Every effort must be made to assist COSATU manage its current difficulties and ensure all unions remain part of the structures of the Federation. In June, the Alliance Summit will be convened in line with call made by President Jacob Zuma. The Summit will do introspection and self-criticism to confront the challenges facing the Alliance. We welcome the recent out of court settlement that confirms the decision of the Federation to hold the Special National Congress in July. there must be a correct mixture of representivity and the skills set required to drive the programme of the developmental state at a local level. The NEC has directed that government focus must be on the acceleration of service delivery in our communities as part of the final push towards the end of the current term of local government. The Back to Basic approach remains at the centre of our work – putting our people first, delivering basic services, good governance, sound financial management and building capable institutions. The NEC received a detailed report from the President and the NWC on the recent horrific spate of violence targeted at immigrants from other parts of Africa and government’s intervention in this regard. The NEC commended government for the bold and swift action that resulted in the restoration of calm in all communities that were affected. The NEC further appreciated the successes recorded by Operation Fiela to date; specifically the strides being made to discover and disarm those in our society with illegal and unlicensed firearms. That the Operation has also brought to the fore immigrants who are in the country illegally should not be used to discredit the Operation but rather as contributing to our efforts to regularize and document all people in South Africa. Immigration is a global phenomenon and while we remain committed to the integration of immigrants into our communities, we must welcome any effort to further tighten the implementation of our immigration laws. We must further engage neighbouring countries, many of which do not allow dual citizenship in their countries, however expect it in South Africa. The ANC government has a responsibility to protect and promote the human rights of people in the country. The NEC was unanimous on the view that South Africans are not inherently xenophobic. We must shun every attempt that seeks to suggest that South Africa is separate from Africa. We must earnestly discuss the real possibility that the material conditions of our people are giving rise to these attacks, as the attacks were most prevalent in areas where poverty and unemployment are high. The NEC then concluded that these attacks are a scramble for scarce resources. The problem can be addressed and resolved if the socio-economic challenges can be attended. The pace of socio-economic transformation will determine the pace of solving the poverty and unemployment related conflict. Engagement with the intention to finding a lasting solution to these matters must continue. As South Africans, we must move beyond the xenophobia narrative and look forward to strengthening relationships across the continent, premised on the African Union Vision 2063. The leadership of the ANC must be visible in communities to explain the programmes of government. The tendency of destroying public property to register unhappiness points to the need for intensive education for communities as the assets belong to them in reality. Regional integration, inter-trade and industrialisation should be accelerated as part of finding a long-term solution and strengthening democracy and peace on the Continent. South Africa remains a beacon of hope to many of our African compatriots. There is a direct link between political instability and influx of immigrants in our country; hence the NEC is concerned about the recent developments in the Great Lakes Region. The developments in Burundi point to the need for the Continent to deal with the temptations of leaders who want to stay in power beyond prescribed Constitutional limits. South Africa has the responsibility and the honour of hosting the AU Summit in June 2015. There is a great expectation from Africa of the resolutions that will come from this summit. It is the wish of the NEC that much attention is given to how we collectively strengthen Peace and Security on the Continent. It is our hope that the Summit will also be preoccupied with finding African solutions to African problems particularly supporting South Sudan, the Democratic Republic of Congo (DRC) and the Central African Republic (CAR). On the 22nd June to the 5th July, the African National Congress will be hosting the Cuban Five who were recently released from a United States (US) jail after years of incarceration. The NEC expressed its appreciation of the promising signs of normalisaiton of relations between US and Cuba. This is a victory we believed must be claimed by the Cuban people and the progressive internationalist movement. We must continue to call for the lifting of the illegal blockade against Cuba. The visit of the Cuban Five is in recognition of the solidarity and strong bonds of friendship between the South African and Cuban people. The National Officials will be visiting the Nelson Mandela Bay on Monday, 18 May 2015 and Ethekwini Region on Tuesday, 19 May 2015.